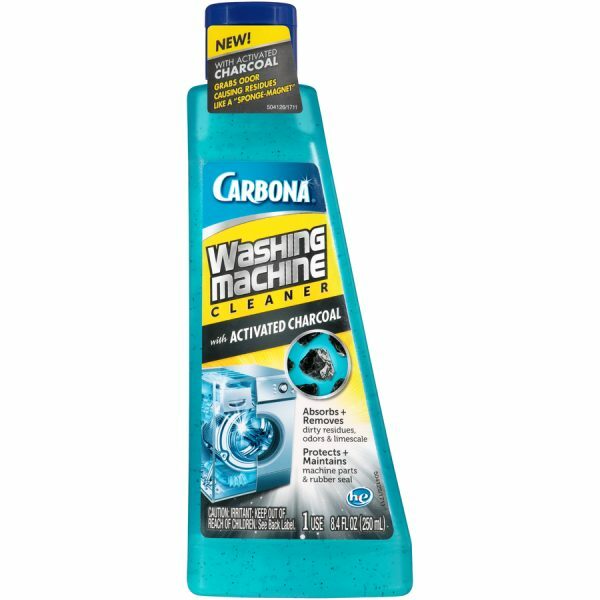 For the messiest of life’s moments, claim your #stain-victory and achieve envy-inducing results with Carbona®. Bundles of joy produce bundles of laundry. While pre-washing baby clothes is on every expectant parent’s to-do list, onesies aren’t the only thing that mom and dad should pre-clean. Infant-ready clothing begins with a clean and odor-free washing machine, which can be achieved by using Carbona® Washing Machine Cleaner with Activated Charcoal. Use it once a month, or as needed, to clean, protect, and maintain your washing machine, even the parts you cannot see. Washing Machine Cleaner with Activated Charcoal works in standard and high efficiency machines. Why do I have to clean my washing machine? In any type of washer, dirt, detergent and fabric softener can build up over time, especially in hard-to-clean places. To save water and energy, HE washers incorporate designs such as low water use and air-tight seals that can create a higher potential for this build-up of residues. This causes not only an unpleasant odor but it can also reduce your washing machine’s efficiency and increase the likelihood of malfunctions. Front Loader Directions: Pour a small amount of Washing Machine Cleaner with Activated Charcoal Formula onto a clean cloth and wipe the rubber seal around the door, rinse thoroughly with a damp cloth. Detergent Drawer Directions: Remove detergent drawer and soak for approximately 30 minutes in a solution of 1 ounce of product diluted in 1 gallon of warm water. Rinse off any residue and insert back into place.